Founded in 1670 and continuously owned and operated by the Clarke Family since 1918, Worthy Park is one of the last remaining Jamaican owned & operated sugar and Jamaican Rum pure single rum producers left on the island. Currently, Gordon Clarke (4th generation) sits at the helm, as Director, working and living on the property. 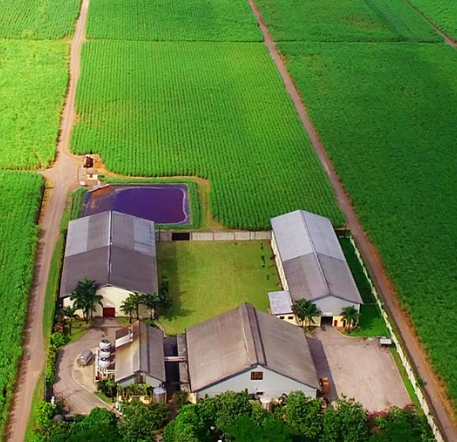 Located in St Catherine Parish, close to the geographical center of the island, northwest of Kingston, at an elevation of 1200ft, Worthy Park’s 12,000 acres estate grows all of its own sugar and process all of the subsequent molasses that goes into each bottle of pot-distilled, rum. They even have enough sugar and molasses to share with distilleries around the island and beyond, who rely on that sweet, specific Jamaican nectar.